Welcome to Seabreeze Condo. 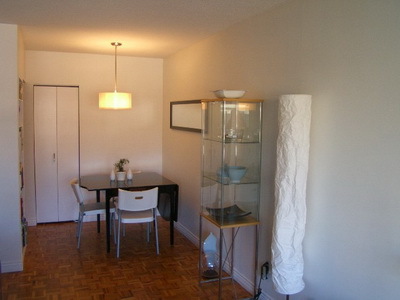 You couldn't ask for a more conveniently located condo within Vancouver. 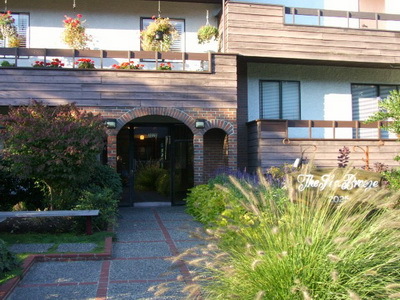 Seabreeze Condo is in the heart of the warm and welcoming community of Kitsilano. 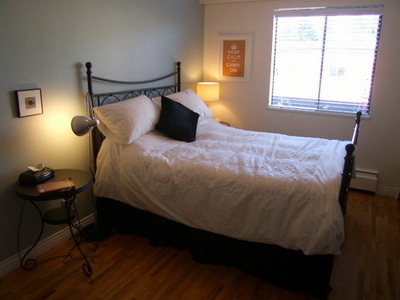 This beautiful cozy 1 bedroom condo will provide you with all the comfort that you desire while visiting Vancouver, BC. You'll appreciate the many parks and walking paths that surround this safe and quiet neighbourhood. Only 2 blocks away from Kits Beach, which in the winter is a fantastic place to bike ride, walk, run, or sit on a bench and take in the beautiful ocean and mountain views. Seabreeze Condo is perfectly nestled adjacent to downtown while offering the intimacy of a quaint beachfront community. 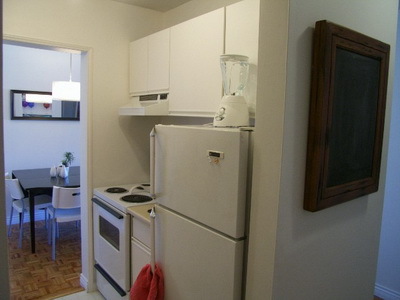 This comfortable and bright 1 bedroom, 1 bathroom condo, spaciously, sleeps 4 people. Fully furnished and located on the third storey, with a private spacious balcony that has a peek-a-boo view of both Cypress and Grouse Mountains which are both Olympic venues. Seabreeze Condo has hardwood floors, freshly painted with modern colours and offers a lot of natural light from large north facing windows. For your convenience there is a dishwasher, cable TV, internet access and one parking stall that is conveniently located in clear view of the patio and bedroom window. 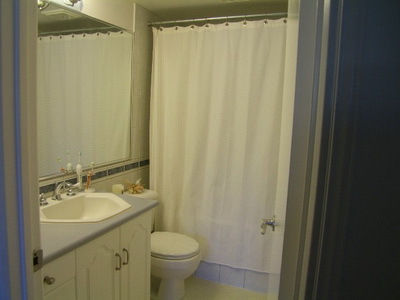 This condo has all the amenities that you would require during your Olympic visit to Vancouver. 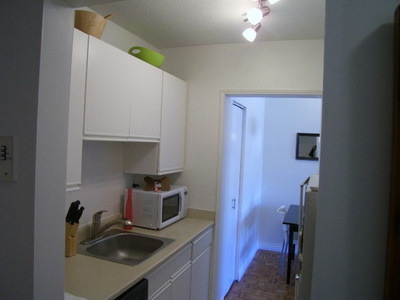 Seabreeze Condo is pet friendly and will accommodate any young families needs. There are plenty of playgrounds within walking distance in Kitsilano. 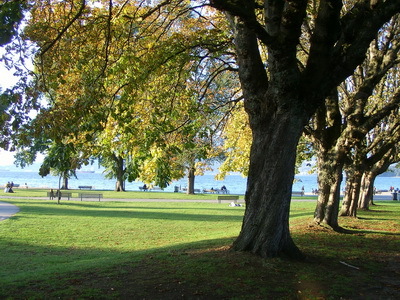 Kits is one of the most child friendly areas around. This wonderful condo is 10 minute walk from Granville Island and its famous marketplace, where you can buy fresh fish and produce, unique gifts, and see live shows. You can grab a coffee at one of the many nearby coffee shops and walk three blocks north to Kits Seawall, where you can take a leisurely and scenic 30 minute stroll to the Athlete's Village. If you're not feeling up to the walk the City of Vancouver and Bombardier Transportation will showcase a modern streetcar service during 60 days of Olympic celebration. This streetcar service will run from Granville Island to the Olympic Village Canada Line Station. The Canada Line has been created especially for the Olympics, connecting all the venues and airport together. You'll be minutes away from a variety of 2010 Olympic venues. A 25-minute walk directly over the Granville Street Bridge will take you to downtown where you can enjoy the events at Canada Hockey Place and BC Place Stadium. You are also only a 10-minute walk from the trendy shops, restaurants, and galleries of Granville Street. The Seabreeze is 18 minutes by car to Vancouver Airport, 35 minutes to the ferry terminal and only 2 blocks away from the bus route to the airport. Distances by car to other Olympic Venues are 10 min to Vancouver Olympic/Paralympics Centre, 15 min to Pacific Coliseum, 15 minutes to UBC Thunderbird Arena, 20 minutes to Richmond Olympic Oval, 42 minutes to Cypress Mountain, and 90 minutes to Whistler/Blackcomb Mountain. 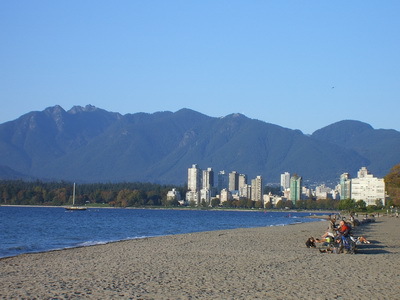 Come see what Vancouver has to offer during your Olympic stay at Seabreeze Condo. You won't be disappointed. Double pull out available in living room.